Medicinal and aromatic plants represent a stable part of the natural biodiversity legacy of many countries in the world. The present review focuses on oregano (Origanum vulgare L.; family Lamiaceae), an endemic herb in Greece that constitutes one of the best known aromatic and medicinal plants originating in the Mediterranean region. In particular, oregano is an evergreen, rich in natural compounds perennial plant that received increased attention in the last years for a wide range of uses. Oregano dry leaves and inflorescences in mixture are used as human and animal food that is extremely rich in antioxidative properties. Additionally, its essential oil is rich in carvacrol, thymol, c-terpinene and p-cymene, and is used for a number of medicinal purposes, e.g. for inhibiting microbial and fungal toxin production as well as for the well-known anti-inflammatory, analgesic, antiarthritic, antiallergic, anticarcinogenic, antidiabetic, cardioprotective, gastroprotective, hepatoprotective, and neuroprotective properties. Due to its perfect quality and high essential oil concentration, Greek oregano (O. vulgare ssp. hirtum) is regarded among the best in the world gaining in popularity in the global markets for food industry applications. Consequently, oregano might be considered as an important low-input, environmental friendly commodity for extensive cultivation in Greece. The present review summarizes on the origin, the morphology, the ecology and the utilization of this plant. Despite the extensive literature available on the use of oregano biomass and essential oil, only few reports exist concerning the cultivation of this plant. Therefore, the present review is additionally focused on the cultivation practices and the importance of cultivation and utilization of Origanum vulgare L. in Greece and generally in the Mediterranean region in the near future, as it constitutes a plant species with high medical, economic and environmental value. Adam K, Sivropoulou A, Kokkini S, Lanaras T, Arsenakis M (1998). Antifungal activities of Origanum vulgare subsp. hirtum, Mentha spicata, Lavandula angustifolia and Salvia fruticosa essential oils against human pathogenic fungi. Journal of Agricultural and Food Chemistry 46:1739-1745. Arnold N, Bellomaria B, Valentini G, Arnold HJ (1993). Comparative study of the essential oils from three species of Origanum growing wild in the eastern Mediterranean region. Journal of Essential Oil Resources 5:71-77. Baricevic D, Bartol T (2002). The biological/pharmacological activity of the Origanum Genus. In: Kintzios SE (Ed). Oregano, the genera Origanum and Lippia. Taylor and Francis, London pp 177-213. Baser KHC, Özek T, Tümen G, Sezik E (1993). Composition of the essential of Turkish Origanum species with commercial importance. Journal of Essential Oil Resources 5:619-623. Baydar H, Sagdic O, Ozkan G, Karadogan T (2004). Antibacterial activity and composition of essential oils from Origanum, Thymbra and Satureja species with commercial importance in Turkey. Food Control 15:169-172. Beltrán BJ, Franklin J, Syphard AD, Regan HM, Flint LE, Flint AL (2014). Effects of climate change and urban development on the distribution and conservation of vegetation in a Mediterranean-type ecosystem. 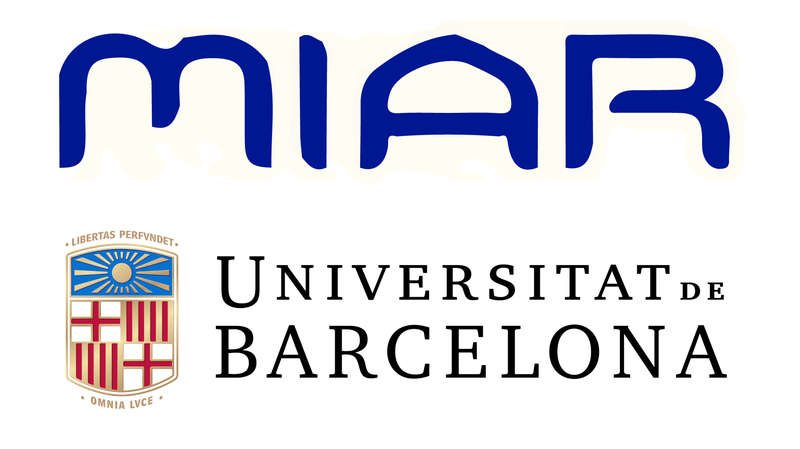 International Journal of Geographical Information Science 28:1561-1589. Bosabalidis AM, Exarchou F (1995). Effect of NAA and GA3 on leaves and glandular trichomes of Origanum × intercedens Rech. morphological and anatomical features. International Journal of Science 156:488-495. Bosabalidis AM, Kokkini S (1996). Infraspecific variation of leaf anatomy in Origanum vulgare grown wild in Greece. Botanical Journal of Linnean Society 12:353-362. Bouchra C, Achouri M, Hassani LMI, Hmamouchi M (2003). Chemical composition and antifungal activity of seven Moroccan Labiatae against Botrytis cinerea. Journal of Ethnopharmacology 89:165-169. Bozin B, Dukic NM, Simin N, Anackov G (2006). Characterization of the volatile composition of essential oils of some Lamiaceae spices and the antimicrobial and antioxidant activities of the entire oils. Journal of Agricultural and Food Chemistry 54:1822-1828. Chami N, Bennis S, Chami F, Aboussekhra A, Remmal A (2005). Study of anticandidal activity of carvacrol and eugenol in vitro and in vivo. Oral Microbiology and Immunology 20:106-111. Cohen A, Putievsky E, Dafni A, Fleisher A (1980). Seed germination of wild spices from the “oregano” type. Hassadeh 60:1160-1162. Conforti F, Ioele G, Statti GA, Marrelli M, Ragno G, Menichini F (2008). Antiproliferative activity against human tumor cell lines and toxicity test on Mediterranean dietary plants. Food and Chemical Toxicology 46:3325–3332. Daferera DJ, Ziogas BN, Polissiou MG (2000). GC-MS analysis of essential oils from some Greek aromatic plants and their fungitoxicity on Penicillium digitatum. Journal of Agricultural and Food Chemistry 48:2576-2581. Dhifi W, Jelali N, Mnif W, Litaiem M, Hamdi NJ (2013). Chemical composition of the essential oil of Mentha spicata L. from Tunisia and its biological activities. Journal of Food Biochemistry 37(3):362-368. Dordas C (2009). Foliar application of calcium and magnesium improves growth, yield, and essential oil yield of oregano (Origanum vulgare ssp. hirtum). Industrial Crops and Products 29:599-608. Dordas C (2012). Aromatic and medicinal plants. Modern Education (Eds), Thessaloniki. Dudai N (1988). Environmental factors affecting flowering, morphology and essential oil of Origanum syriacum var ‘syriacum’. MSc Thesis, Hebrew University of Jerusalem. Dudai N, Putievsky E, Palevitch D, Halevy AH (1989). Environmental factors affecting flower initiation and development in Majorana syriaca L. (Origanum syriacum var. syriacum). Israel Journal of Botany 38:229-239. Dudai N, Putievsky E, Ravid U, Palevitch D, Halevy AH (1992). Monoterpene content in Origanum syriacum as affected by environmental conditions and flowering. Physiologia Plantarum 84:453-459. Friedman M (2014). Chemistry and multibeneficial bioactivities of carvacrol (4-isopropyl-2-methylphenol), a component of essential oils produced by aromatic plants and spices. Journal of Agricultural and Food Chemistry 62:7652-70. Gergis V, Spiliotis V, Poulos C (1990). Antibacterial activity of essential oils from Greek Sideritis species. Pharmazie 45-70. Goliaris A, Skroubis B (1992). New clones of Oregano. In: National Congress on Agricultural Research pp 201-214. Goliaris A (1997). Origano cultivation in unproductive Greek land. Scientific Bulletin, Agricultural Resource Center of Northern Greece 4:79-86. Goliaris A, Chatzopoulou P, Katsiotis S (2002). Production of new Greek Oregano clones and analysis of their essential oils. Journal of Herbs 10:29-35. Harrison PA, Berry PM, Simpson G, Haslett JR, Blicharska M, Bucur M, … Turkelboom F (2014). Linkages between biodiversity attributes and ecosystem services: A systematic review. Ecosystem Services 9:191-203. Katsiotis S, Chatzopoulou P (2010). Aromatic, medicinal and essential oil. Adelfhon Kyriakidi Ed, Thessaloniki. Kintzios SE (2002). Oregano - The genera Origanum and Lippia. Agricultural University of Athens, Athens, Greece. Kirimer N, Baser KH,Tumen G (1995). Carvacrol rich plants in Turkey. Journal of Chemistry of Natural Compounds 31:37-41. Kokkini S, Vokou D (1989). Carvacrol-rich plants in Greece. Journal of Flavour and Fragrance 4:1-7. Kokkini S, Vokou D, Karousou R (1991). 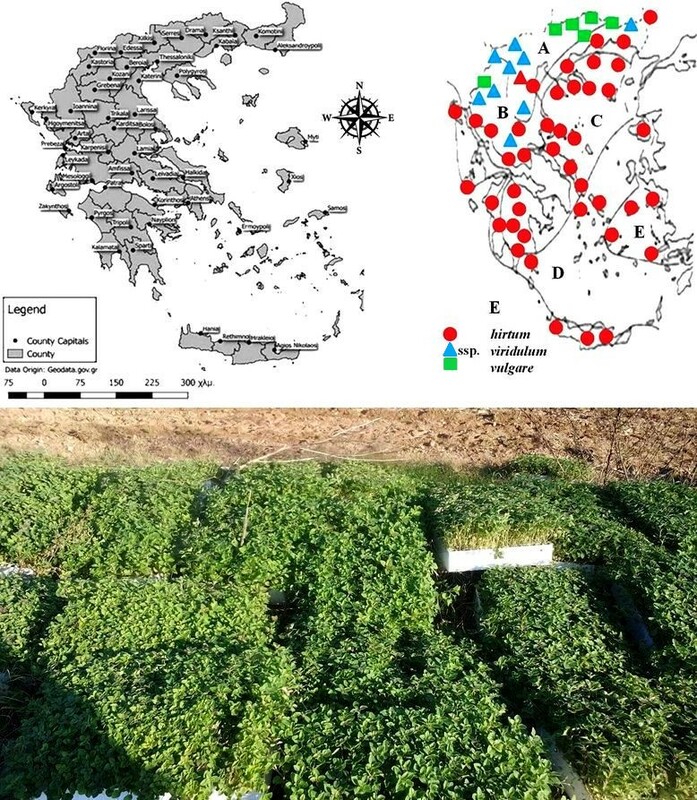 Morphological and chemical variation of Origanum vulgare L. in Greece. Botanica Chronica 10:337-346. Kokkini S, Karousou R, Vokou D (1994). Pattern of geographic variation of O. vulgare trichomes and essential oil content in Greece. Biochemical Systematic Evolution 22:517-528. Kokkini S, Karousou R, Dardioti A, Krigas N, Lanaras T (1996). Autumn essential oils of Greek oregano (Origanum vulgare subsp. hirtum). Phytochemistry 44:883-886. Koutsos T (2006). Aromatic and medicinal plants. Ziti, Thessaloniki, Greece. Kulisic T, Radonic A, Katalinic V, Milos M (2004). Use of different methods for testing antioxidative activity of oregano essential oil. Journal of Food Chemistry 85:633-640. Kuris A, Altman A, Putievsky E (1981). Root formation in oregano (Origanum vulgare L.) stem cuttings. Scientia Horticulture 14:151-156. Lawrence BM (1984). The botanical and chemical aspects of Oregano. Journal of Perfum Flavor 9:41-51. Lewinsohn E, Ziv-Raz I, Dudai N, Tadmor Y, Lastochkin E, Larkov, … Shoham Y (2000). Biosynthesis of estragole and methyl-eugenol in sweet basil (Ocimum basilicum L). Developmental and chemotypic association of allylphenol O-methyltransferase activities. Journal of Plant Science 160:27-35. Makri O (2002). Cultivation of Oregano. In: Kintzios SE (Ed). Oregano, the genera Origanum and Lippia. Taylor and Francis, London and New York pp 153-162. Manohar V, Ingram C, Gray J, Talpur NA, Echard BW, Bagchi D, Preuss HG (2001). Antifungal activities of origanum oil against Candida albicans. Molecular and Cellular Biochemistry 228(1-2):111-117. Marino M, Bersani C, Comi G (2001). Inpedance to study the antimicrobial activity of essential oils from Lamiaceae and Compositae. International Journal of Food Microbiology 67:187-195. Marques PA, Bernardi FL, Frizzone JA (2012). Economic analysis for oregano under irrigation considering economic risk factors. Journal Horticultura Brasileira 30:234-239. Marzi V (1996). Agricultural practices for oregano. In: Padulosi A (Ed). Proceedings of the IPGRI International Workshop on Oregano 8-12 May 1996, CIHEAM, Valenzano, Bari, Italy. Ozkan G, Sagdic O, Ozcan M (2003). Note: Inhibition of pathogenic bacteria by essential oils at different concentrations. Journal Food Science Technological International 9:85-88. Panou-Filotheou H, Bosabalidis AM, Karataglis S (2001). Effects of copper toxicity on leaves of oregano (Origanum vulgare subsp. hirtum). Annals of Botany (Lond.) 88:207-214. Paster Ν, Juven BJ, Shaaya E, Menasherov M, Nitzan R, Weisslowicz H, Ravi U (1990). Inhibitory effect of oregano and thyme essential oils on moulds and food borne bacteria. Letters in Applied Microbiology 11:33-37. Pellequer J, Jacob M, Buochberg MS, Allegrini J (1980). Therapeutic value of the cultivated Mountain Savory (Satureja montana L.: Labiateae). Acta Horticulturae 96:35-39. Putievsky E, Ravid U (1982). Variations in yield parameters in a wild population of Origanum vulgare L. In: Margaris N, Koedam A, Vokou D (Eds). Aromatic Plants: Basic and Applied Aspects. Martinous Nijhoff Publishers, Te Hague, Boston, London pp 237-248. Putievsky E (1983). Temperature and day-length influences on the growth and germination of sweet basil and oregano. Journal of Horticultural Science 58:583-587. Putievsky E, Ravid U, Dudai N (1988). Phenological and seasonal influences on essential oil of a cultivated clone of Origanum vulgare L. Journal of Science Food Agriculture 43:225-228. Ravid U, Putievsky E (1985). Carvacrol and thymol chemotypes of east Mediterranean wild Labiatae herbs (1986). In: Brunke E-J (Εd). Progress in Essential Oil Research, 16th International Symposium on Essential Oils, Holzminden-Neuhaus, Walter de Gruyter Publ, Berlin, Germany pp 163-167. Remmal A, Bouchikhi T, Rhayour K, Ettayeby M, Tantaoui-Elaraki A (1993). Improved method for the determination of antimicrobial activity of essential oils in agar medium. Journal of Essential Oil Resources 5:179-184. Sarac N, Ugur A, Duru ME, Varol O (2009). Antimicrobial activity, antioxidant activity and chemical composition of Origanum onites L. and Origanum vulgare L. ssp. hirtum from Mugla (Turkey). Acta Horticulturae 826:397-404. Seidemann J (2004). World Spice Plants. Springer 264, 266, 336, 365. Sivropoulou A, Papanikolaou E, Nikolaou C, Kokkini S, Lanaras T, Arsenakis M (1996). Antimicrobial and Cytotoxic Activities of Origanum Essential Oils. Journal of Agricultural Food Chemistry 44:1202-1205. Solomou AD, Martinos K, Skoufogianni E, Danalatos NG (2016). Medicinal and aromatic plants diversity in Greece and their future prospects: A review. Agricultural Science 4:9-21. Solomou AD, Proutsos ND, Karetsos G, Tsagari K (2017). Effects of climate change on vegetation in Mediterranean forests: A review. International Journal of Environment, Agriculture and Biotechnology 240-247. Tajkarimi MM, Ibrahim SA, Cliver DO (2010). Antimicrobial herb and spice compounds in food. Journal of Food Control 21:1199-1218. Vokou D, Kokkini S, Bessiere JM (1993). Geographic variation of Greek oregano (Origanum vulgare ssp. hirtum) essential oils. Biochemistry Systematic Ecology 21:287-295. Werker E, Putievsky E, Ravid U (1985a). The essential oils and glandular hairs in different chemotypes of Origanum vulgare L. Annals of Botany 55:793-801. Werker E, Ravid U, Putievsky E (1985b). Structure of glandular hairs and identification of the main components of their secreted material in some species of the Labiatae. Israel Journal of Botany 34:31-45.